The BBC recently screened a much-touted three-part documentary on the history of the land, wildlife and people of Northern Ireland (NI).1 Titled Blueprint, the visually rich programmes incorporated footage from numerous locations all over the province, including stunning views from the air and a liberal use of computer special effects. Blueprint was also backed by a scientific advisory panel including many notable experts2 and fronted by an enthusiastic presenter (William Crawley) who clearly believed the secular history-tale that he was bringing before his audiences. It is no wonder, therefore, that many viewers will have swallowed it all, hook-line-and-sinker. So begins the introduction to Blueprint on the BBC’s website3 and no stone is left unturned in seeking to assure viewers of the epic journey of the province of NI through deep time and space. ‘Together we’ll peel back millions of years of history … ’ and ‘That story has been six hundred million years in the making. It’s the blueprint of who we are today.’ The website asserts, ‘Northern Ireland will never look the same again.’ And therein lies the crux of the matter, for it is quite true that those who unquestioningly accepted this mish-mash of evidence and evolutionary interpretations will ‘see’ NI from a perspective that is entirely alien to biblical history. Yet, stripped of the secular assumptions of deep time, the same evidence of the rocks, plants, animals and people shown on Blueprint can be ‘seen’ to be fully compatible with the historical record of Genesis—an originally perfect Creation, the Fall of mankind and the globe-shattering event of Noah’s Flood. The effects of a flood of that magnitude would have played a large part in shaping the NI we see today—but this possibility, hardly surprisingly, is not even mentioned to viewers. The vast majority of the individual teaching points made in this series have been dealt with on this website by numerous feature articles and/or in articles published in Creation magazine or Journal of Creation. So, rather than providing detailed critiques again here, what follows is an overview of some of the major assertions made on Blueprint together with links to further recommended reading. This first instalment confidently asserted that our Earth used to be a roasting hot furnace, torched by volcanoes—but there’s more: ‘It’s been parched under a baking hot desert sun. It’s been drowned beneath a balmy, tropical lagoon—and it’s been cased in a sub-zero block of ice.’ Methinks, ‘Once upon a time … ’! 600 million years ago (mya), Ireland’s foundations existed on two separate continents, marked today by twisted and folded rocks (a crumple zone) at Clogherhead, Co. Louth. Why is this not more obvious to your average inhabitant of NI? The answer given is that ‘millions of years have covered up the evidence.’ Following brief lessons on plate tectonics, volcanoes and mountain building, we are told that the fusing of what were originally two separate parts of Ireland produced the Sperrins, mountains that stretch between Co. Derry (known as that in Ireland, and as Londonderry in Northern Ireland) and Co. Tyrone.4 These mountains were allegedly part of the Caledonian mountain range that was supposedly up to 15 times higher than seen today (higher than the Himalayas) and originally about 3000 km (1800) miles long—stretching from Norway, through Scotland and NI into eastern Canada. However, it is claimed that ‘millions of years’ of erosion have reduced them to what we see today—but the appeal to long ages is nothing more than a belief. Creationist geologists readily understand that folding, crumpling and erosion of landscapes occurred as a result of crustal movements during the the Flood. Many mountain building events (called orogenies) occurred within that single Flood year. Those that occurred during the ‘Inundatory’ stage (waters rising) were severely eroded, but those that occurred in the ‘Recessive’ (i.e. late) stage of the Flood were preserved as mountains on Earth today—see The mountains rose. 400 mya, there was a red desert in the rain-shadow of the huge Caledonian peaks. ‘The proof that a mighty mountain range once existed here’ is said to be shown by certain minerals that are found underground and by the evidence of the red rocks of both Cushendun5 (Co. Antrim) and Red Bay on the north Antrim coast. However, rather than a desert, the ‘physical characteristics of the Old Red Sandstone point to exceptional depositional processes from water, quite different from the sorts of processes that we see happening on the earth today’ and entirely consistent with the biblical Flood as discussed here. 350 mya, Ireland was a tropical place and the limestone Marble Arch Caves of Co. Fermanagh are interpreted as evidence of this—stated to have been hollowed out over millions of years, at about 30°C, as rainwater dissolved the calcite mineral. 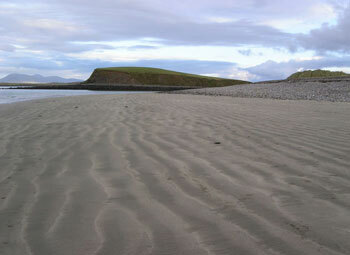 The tropical conditions are inferred from the existence of fossils of sponges and corals as well as those of sea lilies and other marine creatures on the Streedagh coast, Co. Sligo. Again, the appeal to deep time to form caves and speleothems6 is unwarranted—see How were limestone caves formed? and Do stalactites and stalagmites take a long time to form? 60 mya, great swathes of the east of NI were, we’re told, the scene of a cataclysmic event. Stretching of the rocks between the European and North American plates led to their thinning and rupturing, resulting in massive outpourings of lava that lasted for three million years. It was during this time that the famous Giant’s Causeway is supposed to have come into being—but massive lava outpourings mean the Causeway did not need much time to form. See how colossal volcanic upheavals during Noah’s Flood easily explain this NI geologic icon, and about attempts to censor such information from the public. Early in this second programme, an impact scenario is described which, it is asserted, killed off two-thirds of living species and wiped out the dinosaurs (approximately 65 mya). For a biblical and scientific perspective, see What about dinosaurs? and Did a meteor wipe out the dinosaurs? ; also in-depth critiques of dinosaur extinction, especially the cosmic impact idea. Then William Crawley states: ‘As the dust settled, mammals and birds filled the evolutionary gap left by the dinosaurs.’ In fact, more recent fossil evidence is forcing evolutionists to accept that mammals and birds were around for tens of millions of years before dinosaurs became extinct at around 65 million years ago—even according to their conventional timeframe. For example the ‘earliest’ marsupial mammal was reported in 2003 to be 125 million years old10 and footprints like those made by modern birds have been found in rocks dating well over 200 million years by uniformitarian reckoning.11 The claimed evolutionary sequence doesn’t stack up, questioning the anticipated evolutionary order in the fossil record. 2 mya, the Ice Age began and led to U-shaped valleys in NI. Creationists accept that one Ice Age followed hot on the heels of and was caused by the Noahic Flood, not 2 mya but about 4,500 years ago. Ireland today is the same distance from the north pole as Warsaw, Moscow and Newfoundland but has very different climate due to the warm waters of the Gulf Stream. If this ever slowed or stopped, northern Europe would become much colder, a scenario that inspired the makers of The Day After Tomorrow movie. 30,000 years ago, mammoths are said to have roamed the Shores of Lough Neagh, near Belfast. Emily Murray at Queens University, Belfast, is a zooarchaeologist and studies fossils (such as mammoth teeth). She tells viewers that ‘the latest dating techniques have estimated that they [woolly mammoth remains] are between 65 and 95 thousand years old.’ But such techniques rely on multiple assumptions which are unproven and unproveable—see little-known facts about radiometric dating and Radioactive dating no problem for the Bible. Furthermore, the evidence of woolly mammoths, how they arrived in Ireland and why they went extinct, is no riddle for those who accept Genesis as history. 25,000 years ago, the ice advanced and as glaciers moved across the country, many animals perished. The ice cover over Ireland ‘rose 15 times higher than Winsor House in Belfast, Ireland’s tallest building.’ There is no reason to dispute the great depths of ice cover but the biblical framework at present provides the only viable explanation for understand the Ice Age. It reached glacial maximum (and thus the greatest depths of the ice sheets) several centuries after Noah’s Flood, some 4,000 years ago. Read an interview with a creationist weather scientist who takes this model here. ‘Nowhere in Northern Ireland escaped untouched.’ We would agree, excepting only the time-scale. We would also accept much else that is presented in this second programme as evidence of past ice action in NI: the few out-of-place boulders (erratics) that can still be seen, at Scrabo Hill (Co. Down) for example; the many drumlins;13 the fact that Belfast’s own leaning tower, the Albert Clock (similar to London’s clock tower that houses ‘Big Ben’), nicknamed drunken Albert, is leaning due to the muddy clay underneath it—a reminder that this whole area was once covered in ice. 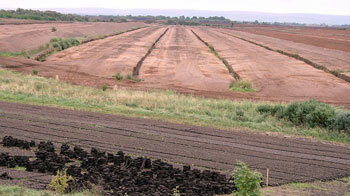 The clay—called sleach—can be up to 40 feet thick in places. Thus, huge piles must be drilled down to support Belfast’s big buildings. At Lough Melvin, Co. Fermanagh, fish called Arctic Char (smaller than their arctic relatives) are found at a depth of about 150 ft and were described as ‘Ice Age survivors’. Yes, but there is nothing particularly surprising about this for the person whose worldview is based on a grammatico-historical reading of Genesis 1–11. Char breeding char over thousands of years is simply another example of creatures breeding after their own kind, albeit allowing for variation in size or form. After the Ice Age, how did all the various animals and plants repopulate Ireland? This was no problem for birds and insects but what about the others? Near the end of the Ice Age, while lots of water was still locked up in ice sheets, sea levels were lower. Today, only 13 miles of water separates Tor Head, NI, from Scotland. However, Blueprint informed viewers that a deep sea trough always would have divided the two land masses and surmised that it was probably people who brought some of the plants and animals back, among other possible explanations. Viewers were further informed that there are fewer flowering plants and mammals and no snakes, moles or weasels compared to the rest of Europe. But NI does have the Strawberry tree and fifteen other trees and dozens of animals that are native to Ireland but not to Britain, all part of ‘the unique animal blueprint.’ On these points, the documentary is uncontroversial—these interesting facts relate to what we can all observe in NI today so there is no argument here. But that is quite unlike the rampant speculation (albeit in keeping with a long-ages/evolutionary worldview) about vanished history that is passed off as scientific evidence elsewhere. Anyone who has spent time travelling through Ireland will have come across peat bogs—peat is often cut, dried and burnt as a fuel. But the makers of Blueprint were not so interested in their economic benefits: ‘This bog is an organic history book and, by looking closely, experts like Emily Murray can expose the evidence of how our plants, animals and climate have evolved since the ice melted [emphasis added].’ This is a tall claim. Layers of rock, peat and ice cores are not history books—rather, people’s presuppositions about the past (the beliefs they already hold about history before even examining the evidence) govern the way in which they interpret the evidence. For instance, Emily Murray was shown talking animatedly about a peat core as allegedly revealing time zones: one allegedly marked the end of the last Ice Age; another with grey clay, devoid of plants, was interpreted as from a cold period; a brown section showing plant remains, she confidently asserted, ‘tells us it was a much warmer period’—but it told her nothing at all (peat cores don’t speak for themselves! ), rather this is her interpretation. Referring to another part of the core, we were told: ‘At this point, trees and forests recolonised the island giving us the landscape we know today.’ We don’t deny that such peat cores contain much potentially useful information but once the dates are shoehorned into a scheme that disallows biblical history by insisting on many tens of thousands of years of time, objectivity has been lost. Near the end of this second instalment, Crawley makes this interesting comment: ‘And since a lack of oxygen has made this peat land a perfect preservative, a bog is a kind of natural memory bank, sealing away moments from our past, as we might do today in a time capsule. When opened, these wet bogs have given up everything from preserved roadways, to blocks of butter, ancient trees and even whole human bodies that are thousands of years old.’ But one very big difference between a peat bog and a time capsule—and actually the most crucial—is that only the time capsule reveals the recorded date of burial when opened years later. When archaeologists discover a body that has been preserved in peat, it is highly unlikely to have a label attached that records date of burial—the same is true of fossils of course. The ‘blocks of butter’ refers to the old Irish practice of filling a wooden box (a mether) with butter and lowering into a peat bog to preserve it—occasionally, these were forgotten and only retrieved centuries later, the butter having apparently been petrified. This is one more example that fossils form very rapidly. 10,000 years ago is the date when NI was said to have been invaded by the first humans. At that time, it was a wilderness ‘full of prehistoric animals.’ This is incorrect. There is no such thing as prehistory if we start with the premise—as the Lord Jesus, the apostles and other New Testament writers did—that Adam, the first man, was made at the beginning of Creation, the very foundation of the world and of time. See 15 reasons to take Genesis as history. And contrary to ‘Christian compromises’ like the Gap Theory and Progressive Creationism, there were certainly no pre-Adamite people. In 1973 at Mount Sandel Fort, Coleraine, archaeologist Peter Woodman discovered evidence of what he and his team interpreted to be the earliest settlers of NI. 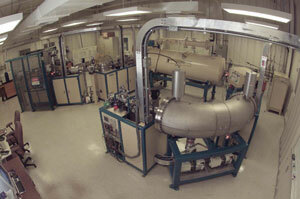 This Accelerator Mass Spectrometer, though impressive, is not a ‘time machine’! See article. As the programme follows him back to the same spot, he says these intriguing words to camera: ‘You know, the trouble with visiting sites like this is that it’s a little bit like a pilgrimage. There’s a certain act of faith that something actually happened here.’ This is an honest statement but it rather gives the game away! Scientists who study origins and who try to piece together what may have happened in the dim and distant past have to build a possible reconstruction, based on the very limited evidence that has survived to the present. Peter Woodman tacitly admitted that he is a man of faith, yet his faith in past events comes from a different worldview than the one based on the scriptural record in Genesis. See The wrong glasses and chapter 1 of Refuting Evolution, also available here: Evolution & creation, science & religion, facts & bias. Emily Murray is shown with the AMS instrument and says: ‘So, essentially, this is an archaeologist’s time machine.’ No! Radioisotope methods do not measure time but the amounts of various elements in the specimen. Next she says: ‘We can measure the amount of radioactive carbon that’s still in that hazel nut and then, taking that measurement, we can compare it with how much radioactive carbon is in a modern hazelnut and then the difference will tell us how long ago it was since that hazelnut died.’ ‘So cutting edge technology can tell us that this shell is 9,700 years old … ’ There is a world of difference between being able to accurately measure the amount of C-14 (radiocarbon) in a piece of hazelnut shell and being able to give it an absolute age—see How accurate is C-14 dating. Consider too the highly problematic evidence (for people who have great faith in carbon dating) of radiocarbon in wood entombed in Triassic sandstone and radiocarbon in diamonds! At the very least, such facts demonstrate that the confident pronouncements of Blueprint regarding using these methods as virtual time machines are completely unjustified. At 6,000 years ago, viewers were assured that human ancestors cleared great sections of forest in NI, planted crops and let their animals graze. ‘The idea was so simple, yet it was brilliant.’ The ability to thus store food is supposed to have led to their artistic, cultural and spiritual development! People discovered gold in the Sperrin mountains and iron in the bogs of Co. Antrim. Metal working, allegedly, allowed some people to develop a higher social status. There is plenty of speculation here. The problem, though, is that these ideas about what people were doing millennia ago are taught as if they are entirely factual and based on abundant evidence—which is far from the case. Evidence, as we have said already, has to be interpreted—it has to be read in the light of theory, in this case, the idea that people have evolved from primitive beginnings. According to evolutionists, if you go back far enough into the past and people become less clever, less inventive and less able to manage their environment—at least, that’s the insinuation. Conversely, as we move forward in time, more primitive human beings developed the aesthetic, cultural and spiritual abilities that we take for granted today—a kind of chronological snobbery is exhibited here! However, the Bible indicates that metal-working and craft were around from the earliest times (Genesis 4:21, 22)—from the beginning. For more thought-provoking articles on this subject from a biblical perspective, see the archaeology Q&A page. Towards the end of this final programme, it is stated that genetics shows that the first ancestors of NI were from Britain, yet people’s DNA also shows commonalities with that of people from France and even the Basques—in other words, not just with the Celtic peoples of Scotland, Wales and Cornwall (S.W. England). While interesting, this is not particularly surprising because the Bible indicates that all people across the world—those alive today and those who have ever lived in history—are descended from ‘one blood’ (Acts 17:26), the first man Adam (1 Cor. 15:45) and his wife Eve, the ‘mother of all living’ (Genesis 3:20). See, for example, Who was Cain’s wife? and Blood brothers. BBC Northern Ireland screened the TV programmes on 31st March, 7th April and 14th April 2008 and there were also radio shows and a dedicated featured website, http://www.bbc.co.uk/blueprint/ [Ed. note: This link is no longer available]. The website is replete with numerous media clips from the TV documentaries. Return to text. Among others, this included the Director and two principle geologists from the Geological Survey of N. Ireland, a Professor of Archaeology from the University of Cork, the Pro-Vice-Chancellor of Queen’s University Belfast and a noted historian. Return to text. See http://www.bbc.co.uk/blueprint/ [Ed. note: This link is no longer available], last accessed 14 June 2008. Return to text. In NI, county names are often conveniently abbreviated to Co. Return to text. These are referred to by geologists as Old Red Sandstone rocks. Return to text. These are cave formations including such objects as stalactites and stalagmites. Return to text. Williams, E.L., Origin of bedded salt deposits (Nutting), Creation Research Society Quarterly 26(1):15–16, June 1989. Nutting (1984, Ref. 2) discusses the uniformitarian hypotheses of the origin of vast salt deposits (evaporites) in the crust of the earth. Basically all of the proposed models involve the evaporation of water (p. 4), which requires long periods of time—which is usually preferred by naturalists. These models are discussed within the framework of the actual chemical, geological and physical evidence gathered at evaporite sites. Nutting proposes that all uniformitarian schemes fall far short in explaining the origin of the deposits. He offers a catastrophic model involving heated water which developed due to volcanic or igneous intrusive activity (pp. 52–70) to explain the deposits. Return to text. Morris, J.D., Does Salt Come From Evaporated Sea Water? Back to Genesis 167:d, November 2002, http://www.icr.org/article/532, http://static.icr.org/pdf/btg/btg-167.pdf. Return to text. Williams, E.L., The Evaporite Deposits of Saltville, Virginia, Creation Research Society Quarterly 40(2):72–84, September 2003, CreationResearch.org/crsq/abstracts/Abstracts40-2.htm. Return to text. This is the mouse-sized Sinodelphys szalayi, the alleged ancestor of opossums and kangaroos; from the Yixian formation, China. See Luo, Z.-X. et al, Science 302:1934, 2003. This fossil creature was said to be 50 million years older than the previous record holder! Return to text. Melchor, R.N., de Valais, S. and Genise, J.F., Bird-like fossil footprints from the Late Triassic, Nature 417:936-938, 2002; reference no. 24 in: Woodmorappe, J., Bird evolution: discontinuities and reversals, Journal of Creation 17(1):88-94, 2003. Return to text. It is true that such rock striations may indicate the past movement of glaciers or ice-sheets, and that these particular scratches are likely to have been caused by ice. However, many other earth processes are now known to mimic this (such as submarine debris flows) so this feature alone is not diagnostic of glaciations—see here. There was only one Ice Age and that was post-Flood (See Oard, M.J. Ancient Ice Ages or Gigantic Submarine Landslides, Creation Research Society Monograph 6, Chino Valley, Arizona, pp. 57–67, 1997.) Return to text. 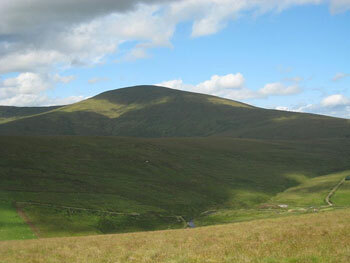 Wikipedia states: ‘A drumlin (Irish droimnín, a little hill ridge) is an elongated whale-shaped hill formed by glacial action. Its long axis is parallel with the movement of the ice, with the blunter end facing into the glacial movement. Drumlins may be more than 45 m (150 ft) high and more than 0.8 km (½ mile) long’ Return to text.